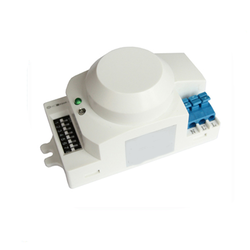 Prominent & Leading Manufacturer from Pune, we offer microwave sensor. We are one of the leading manufacturers and suppliers of Microwave Sensor that is widely used in several industries. Our offered sensor is highly demanded in the market due to its optimum quality features like accurate detection and durability. This sensor is manufactured using high grade components and the latest technology under the supervision of trained professionals. Offered sensor is tested on various parameters by our quality controllers.